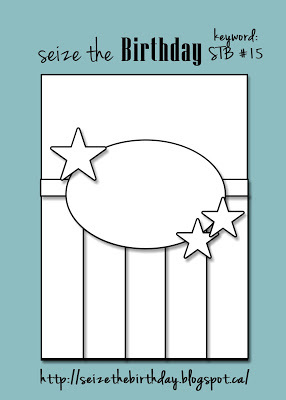 It's time to take our Seize the Birthday sketch from last week and this time around it's all about those masculine birthday cards. Is he cute or what? After I got the digital image the size I wanted it to be I attached a small piece of my pattern paper to a regular piece of printer paper, and ran it through my printer. I cut him out and colored in the spots on his back with a black Copic marker. I printed a second image and cute out just the eyes so they would be white and not polka dot. The winner of this week's challenge will win a $6.00 USD voucher code to redeem at SKdigis. Thanks for stopping by. 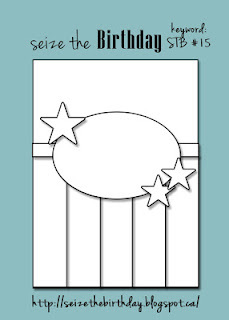 I hope you will join us this week at Seize the Birthday. 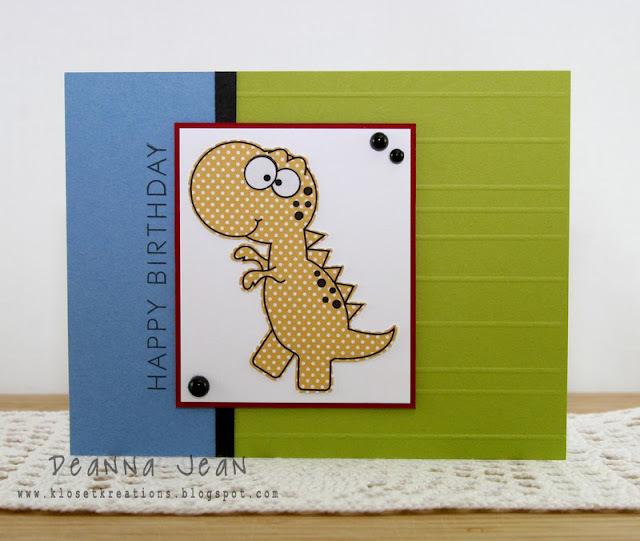 He's a cute little polka dotty fella Deanna, darling card!! He is such a cutie! Ilove the polka dots! What a perfect boy's card! what a terrific boys card...that little dino is so cute! Great card, Deanna! What a cutie! A perfect card for a little boy!